The Squeaky Clean Team specialises in water and flood damaged carpet restoration and unsurpassed cleaning services to all of metropolitan Melbourne 24/7. With a fully trained and certified team, as well as years of hands-on experience, we can provide the services you need to ensure your home or office is promptly restored to its original condition. To arrange for prompt restoration of your water damaged carpets, call our team today. The Squeaky Clean Team are proud to provide a true 24 hour service, 7 days a week for water damaged carpets, walls, floors, and even home contents. When you choose us, you will be dealing with true professionals who can advise you from the onset on how to deal with your carpet flood damage and repairs. We will not only restore your property with certified and proven methods of drying, but also work directly on your behalf with your insurance company – no matter how big or small the job. And if you’re not insured, there’s no need to panic. We can still help you dry your property to prevent any further water damage. For a healthy home or property, it’s important that the cleanliness of your carpets and floors are maintained. Carpets that are damaged by water can cause mould and dangerous bacteria to form in your home. Water damaged carpets can occur for various reasons, including flooding from a storm, a burst water pipe, or an overflowing sink. The effect that these incidents can have on the overall condition of your carpet is quite substantial. You need to ACT QUICKLY! As soon as water has ingressed into your property, mould and bacteria will take hold and a myriad of health problems may arise. The best thing to do is consult the experts at The Squeaky Clean Team and let us help restore your carpet to its original condition. You can hire our expert carpet cleaners for flood or water damaged carpets, as well as a range of cleaning services. Call us today. Not only does carpet flood damage diminish the appearance of your carpet, but it also results in dampness, creating the perfect environment for the growth of mould and bacteria. This can, in turn, cause health problems that could otherwise be avoided through implementation of appropriate cleaning methods. As soon as water has entered into your property, mould and bacteria can quickly take hold and a myriad of health problems may arise. When this happens, you’ll need the expertise of a professional flood damage restorer such as The Squeaky Clean Team. No matter how big or small the job, call The Squeaky Clean Team NOW for all your carpet flood damage and repair services. We’ll get your property dried FAST. Our team has restored carpets with water and flood damage across a range of Melbourne hotels, offices, warehouses, apartments, and standalone homes. We also recently won the restorer of the year award for saving the Australian National Basketball courts at Knoxfield in Victoria. The Squeaky Clean Team saved the city of Knox from having to completely replace the wooden floors in the main courts, which would have been a considerable cost. The Squeaky Clean Team believes in providing premium restoration services at affordable prices. 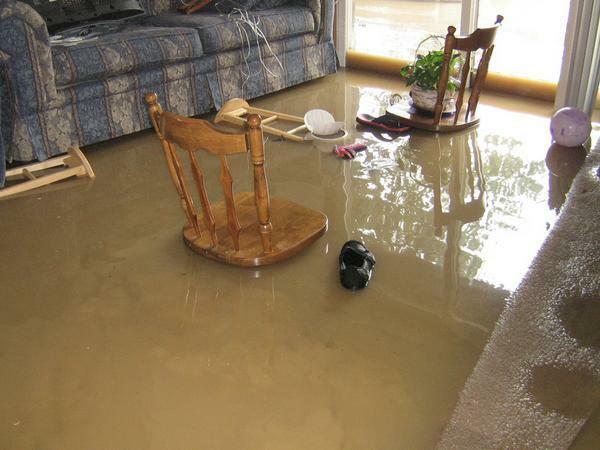 It’s for this reason that we’re the number one choice for flooded carpets repairs in Melbourne. All of our team members have undergone full training at the Jena Dyco International Cleaning and Restoration Training Centre, have years of experience, and are truly dedicated to providing the best service with a smile. Call us today to hire our expert carpet cleaners for flood or water damaged carpets. Using accredited techniques as well as on-the-job experience, we can usually dry and fully restore your property in as little as 48 hours. 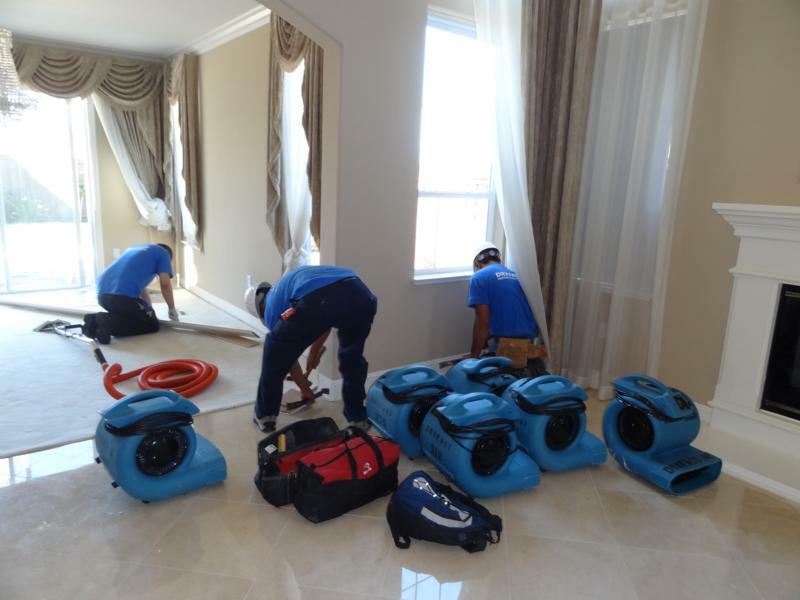 Not only are all of The Squeaky Clean Team technicians fully certified, but we also have over 100 air movers and 30 dehumidifiers available 24/7 which ensure we can dry your property quickly. We are always on standby waiting for your call.